Once Again! Can A Mission-Driven Nonprofit Be Blindsided? Once Again!! Can A Mission-Driven Nonprofit Be Blindsided? • The CEO needs to regularly present board reports on strategic changes being initiated by similar organizations and focus on those that are worth investigation. 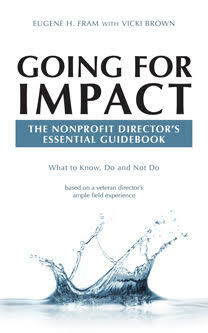 • If the nonprofit is re-accredited, the board should meet with the visiting team to seek its views on what the organization should be doing to prepare for changes in the next three to five years.